Canadian engineered 3 1/2" Graphite Maple, Micro V groove on all 4 sides , easy to install with the drop loc clic system. Floating installation on, above and bellow grade. 24 sq.ft/ box. 2 mm of top layer over a hdf core. Curated with an eye for design and beauty, this dreamy, easy style reimagines the look of distressed wood found within the Revolutionary Rustics collection. With the distinctive touch of thoughtfully layered, multi-dimensional tones, Maple and Walnut hardwood come alive with style and beauty. White washed stains reveal natural or gray undertones for a minimalist, muted statement, while black washed natural and brown tones enliven Walnuts distinctive grain with abundant color variation. Its crafted with the ideal combination of species, stains and finishing techniques for the most beautiful, rich color palette. Power Dekor's 1/2 inch Wire Brushed Oak Engineered wood flooring combines beautiful style and design with high quality performance. This flooring features deep rich natural colors, unique random length planks, a 2mm genuine Oak top layer and a Click installation for a simple, easy to install product. A high density fiber (HDF) core construction is used for maximum structural integrity. 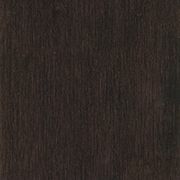 This Power Dekor flooring has truly captured the authenticity of a hand crafted product. Deeply stained planks featuring the unmistakable rustic character of a richly textured handscraped surface and chiselled edges fill this flooring with warmth and charm. This product features a 2mm top layer and random length planks in a 6.5" width. This Power Dekor flooring has truly captured the authenticity of a hand crafted product. Deeply stained planks featuring the unmistakable rustic character of a richly textured hand scraped surface and chiseled edges fill this flooring with warmth and charm. This product features a 2mm top layer and random length planks in a 6.5 inch width. Graphite Maple 3 1/2-inch W Engineered Hardwood Flooring Canadian engineered 3 1/2" Graphite Maple, Micro V groove on all 4 sides , easy to install with the drop loc clic system. Floating installation on, above and bellow grade. 24 sq.ft/ box. 2 mm of top layer over a hdf core.